THE FIRST LADY of INDIA NATIONAL AWARD. On 20 th January, 2018, at Rashtrapati Bhavan, New Delhi, our Honourable President of India, presented Dr. ABAN E. MISTRY (posthumously) the prestigious FIRST LADIES of India award, establishing her as INDIA’S FIRST LADY TABLA MAESTRO. Abanji’s struggle and perseverance in researching deeply about the history of the tabla, shattered the hitherto male bastion and belief that percussion instrumental music was always and only associated with men. 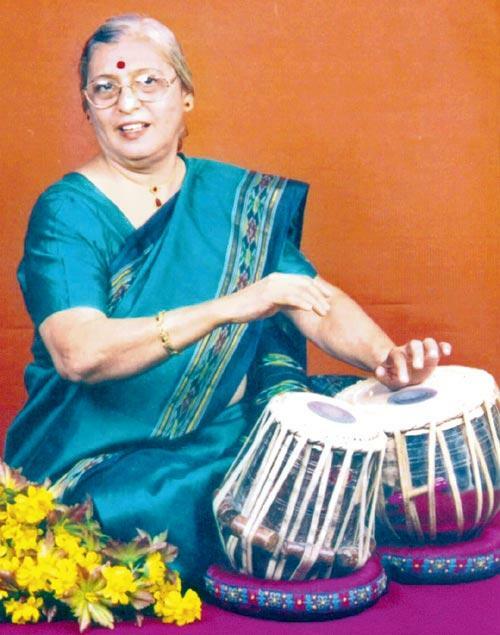 Her academic and professional career as the very first lady authority on Indian classical percussion music and tabla maestro respectively, paved the way for other ladies to follow. Hers was among 112 awards presented to ladies of our country, celebrating and acknowledging their struggle and subsequent success in their respective fields. These are the daughters of India, who broke barriers and forged new ground through their focus and relentless hard work. This is a most coveted recognition by the Government of India. The research, selection and award presentation ceremony was wonderfully organized by the Ministry for Women and Children Development and officiated by MP, Smt. Maneka Sanjay Gandhi. Swar Sadhna Samiti, co-Founded by Abanji, is honoured with the bestowing of this award and shining a spotlight on her path-breaking works which she devoted her entire lifetime to. Abanji’s achievements are by no means an easy feat and we hope future generations of lady talents in Tablavaadan walk in her footsteps.